Silicon Valley venture capitalist Chris Haroun wants to teach you everything you need to know about business. My new favorite business course wasn’t produced by a business school, and it isn’t on any of the academic MOOC platforms. It is, however, the single most comprehensive, practical resource I have found for learning business on the cheap. An Entire MBA in One Course, created by Silicon Valley venture capitalist Chris Haroun, is also one of the most popular courses on Udemy. For obvious reasons, when I learned about a resource promising to be An Entire MBA in One Course, I had to check it out. Haroun’s background includes time at big-name finance and management consulting firms like Goldman Sachs, Citadel, and Accenture. He currently works at a prominent Silicon Valley venture capital firm and is a frequent guest lecturer at Bay Area business schools, including Berkeley and Stanford. Haroun received his MBA in finance from Columbia University. If anyone can teach the entire MBA curriculum in a single course, Haroun certainly has the resume to do it. Incredibly, An Entire MBA in One Course is pretty much as advertised. Haroun manages to distill the most important parts of his own MBA in finance, as well as his years on Wall Street and in Silicon Valley into a single, jam-packed course. Haroun follows a hypothetical company from birth through maturity. While the course is geared towards entrepreneurs planning to seek funding for a startup, it is filled with insights that translate beyond startup world. An Entire MBA in One Course is fast-paced but accessible, and Haroun’s palpable enthusiasm keeps interest high. 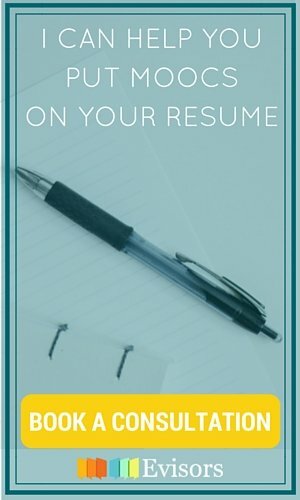 As someone who has been in literally dozens of online courses, this one stood out to me for its practical usefulness and grounding in real-world experience. If you are an entrepreneur looking for concrete information that can help you start a company, raise money, and grow into a great manager, this is the course for you. But even as someone who isn’t planning to raise venture capital, I found Haroun’s tips on networking, sales, and presentations to be highly insightful. I recently caught up with Chris Haroun to ask him a few questions about business education, career management, and his experience teaching one of the most popular business courses on Udemy. Note: Interview responses have been edited for length and clarity. Laurie Pickard: What inspired you to become an educator, and what do you get out of writing and teaching? Chris Haroun: One of my students called me up for mentoring, and she works at Udemy. So I checked it out, and I thought, this place is unbelievable. It reminded me of YouTube in the early days. Udemy is the quintessential education platform that is going to democratize the global education market. I was blown away. And I decided to put up a course. I already had the slides. I’m incredibly bullish on ed-tech because if you fix education, and if you incentivize people who teach, you can attract the best and the brightest. And I believe that with education every problem gets solved. Literally every problem in the world can be solved with education. LP: Given all the materials and resources that are available today, I’m curious whether you think a traditional MBA is a good investment. How would you advise people who are considering their options for business education? Every problem in the world can be solved with education. CH: I think an MBA is worth it if you want to change careers. If you’re happy in the career track you’re on, I don’t think you need it at all. When it comes to business, I believe that business is common sense, except for two aspects of it, accounting and finance. You have to learn that language. LP: Entrepreneurs pitch to you a lot. 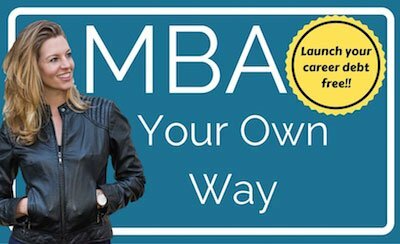 What would you think of an entrepreneur who had opted to take their business education into their own hands rather than pursuing a traditional MBA? I never judge someone based on their education. All I care about is their passion for their industry. CH: It’s different here in the Bay Area. There are fewer barriers. I never judge someone based on their education. All I care about is their passion for their industry. I see five- or six- hundred business plans per year. It never comes up where they go to school. My favorite success stories, and when I teach, my favorite students, are the ones who are poor, smart, and hungry. It doesn’t really do much to say, “I have an MBA from a top school.” I’m a firm believer in common sense and passion. 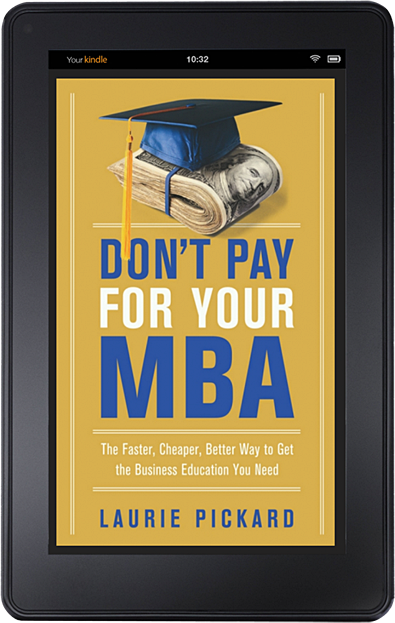 No-Pay MBA is thrilled that Chris Haroun is offering his course to our readers for 75% off!! 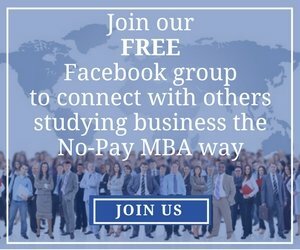 An Entire MBA in One Course normally costs $200. Use the link below to get it for $50.